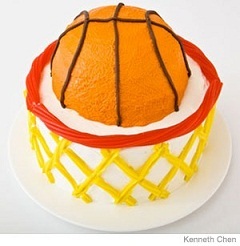 A fun basketball cake is the perfect addition to your favorite hoop fan's party. Find unique, easy cake ideas and celebrate the special occasion with the perfect birthday cakes and cupcakes! 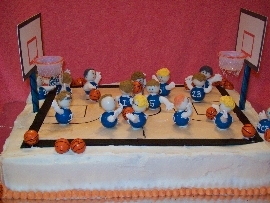 Browse the cake pictures below and create your own personalized treat for the sports lover in your life! 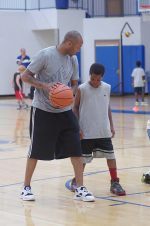 I've tried to provide a wide variety of ideas to help spur your creative juices as you create your own masterpiece! If you see one you like, I've provided the website info so you can get the recipe and cooking tips. I don't have the cake recipes for all of them, but I've included their pictures just to help give you some ideas. For some quick and easy ideas for those that are lacking time and creativity, how about some edible images that you place right on top of the cake. 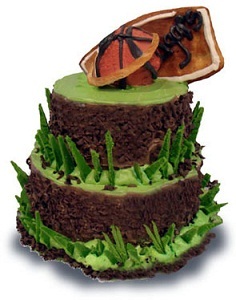 They provide an inexpensive alternative to make your cake look like the work of a professional. Just place the edible sheet on top of your cake and it will blend in with your frosting in about 20 minutes. 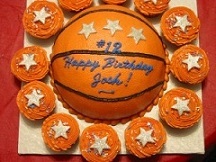 Make your own basketball birthday cakes & cupcakes! If you're going for the 3-D look, one of these pans will do the trick to give you a spherical ball or half-sphere. 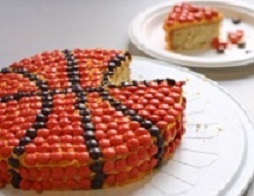 Basketball cake ideas to get your creative juices flowing! 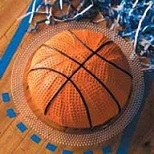 Looks like a basketball is sitting on your table! 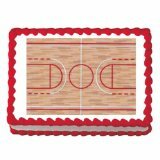 The court is a 9" X 13" chocolate double layer. 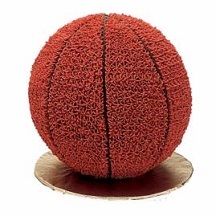 The ball is made using a half ball pan. 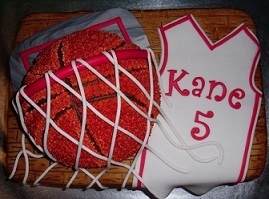 Shirt, net and accent items are made with fondant. Here's a unique one the designer named "The Shot That Brought Down the House!" This one is my favorite! 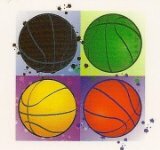 Check out the gum ball players and candy stick hoops. Choose your favorite flavor and decorate it with candy. This hemisphere-shaped dessert has dimpled icing and licorice laces. 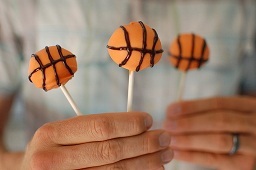 Now, here's something that's sure to be a crowd pleaser - basketball cake on a stick! These are just a start. Check out more super cute cake ideas.